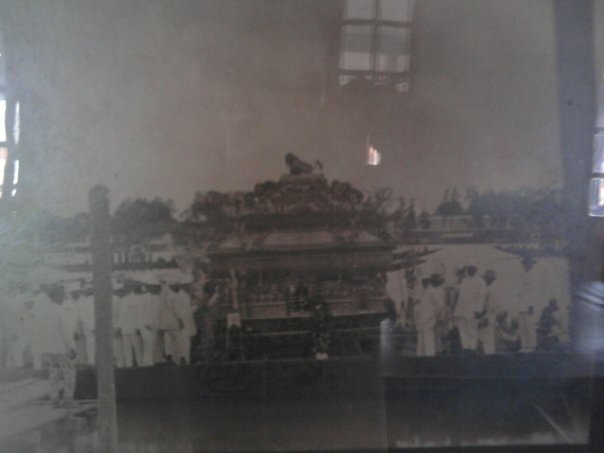 Indeed one of the heritage buildings of China. 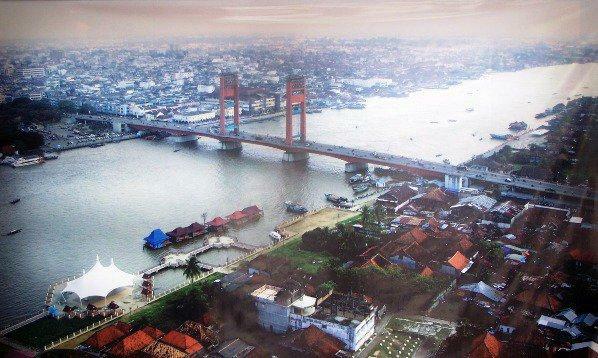 However, China is not an inherent characteristic of there, but rather a blend of cultures Palembang, China, and the Netherlands which was thick coloring area located on the edge of the Musi River. 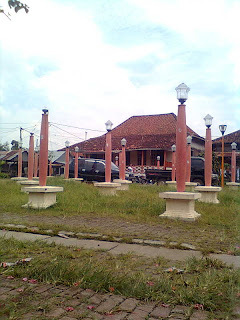 According to humanists and historians Palembang, Djohan Hanafi, the emergence of Kampung Kapitan related to the collapse of the kingdom of Srivijaya in the eleventh century and the advent of the Ming Dynasty in China in the XIV century. Since the days of Srivijaya until now, the artery of the Musi River water transportation to move the city of Palembang and the surrounding economy. Groove homecoming ships, boats, getek, barge, tug boat and a speed boat that brought crops, can be seen. 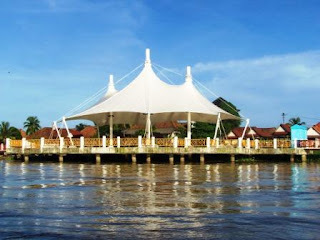 However, behind the density of activity in the river that divides the city of Palembang into two, namely Seberang Ulu and Ilir, there are more tourist attention, namely Kampung Kapitan. Kampung Kapitan is a group of 15 Chinese-style building houses on stilts which is located in the Village 7 Ulu Seberang Ulu Subdistrict 1. This village was originally the residence of an officer rank of lieutenant Chinese descent (captain) who worked for the Dutch colonial government. Land in Seberang Ulu is indeed for migrants from outside Palembang. 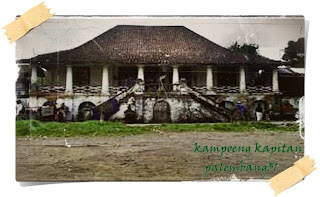 Interestingly, the house adopts the form of the pyramid (Palembang traditional houses) are reserved for Palembang nobles. However, the shape of the house also adopted the Chinese public house typology with courtyard (open space) in the middle, which is useful for ventilation and light entry. Tradition also still visible on the interior of the house is furnished with a table altar for ancestor worship. 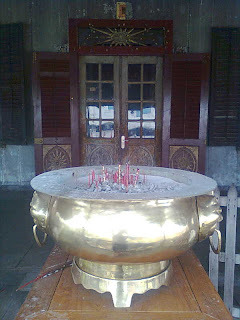 This blend can be understood, because in the last days of the Sultanate of Palembang, Chinese people began to mingle with the native peoples Palembang through marriage or converted to Islam. At the Dutch colonial administration, changes of Chinese society into a society that has watched a special position. It looks at the support columns on the front porch on the first house made of wood, turned into a brick column with a classic European style, although the proportion of looks to suit the building. Buildings in Kampung Kapitan core consists of three houses, is the biggest building and overlooks the River Musi. The house in the middle of the most frequently functioned to organize a party and meeting place, while the second house on the east side and west for residences. 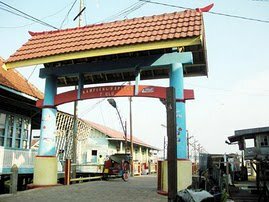 From the land, there is only one way into Kampung Kapitan which is about 800 meters from under the bridge. In the entrance there are two gates which leaves the door missing. 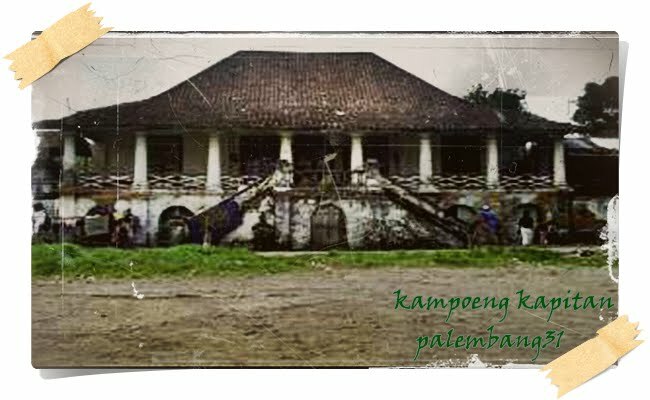 But now, elegance Kampung Kapitan almost disappeared. Only the old buildings are still standing, although a lot of minor damage in a variety of angles. In addition, parts of the building are made of wood looks dull. However, the wood walls are not damaged because it is made of wood unglen lasting for hundreds of years. Inside the house, ash and altar table adorned prayer several gods, also looks dusty and littered with cobwebs. Almost no furniture or cabinets that can describe the situation of the past. There are only a few photos are still plastered lieutenant in the east parlor. Central part of the village park also has turned into a terrain that is not neglected. Two lions, a symbol of the Chinese officer who once graced the front of the core is also missing. According Tjoa Kok Lim, Kampung Kapitan neglected after the captain abandoned the descent. 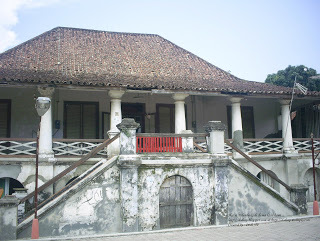 Tjoa Kok Lim keep the house as the fourth sister followed their husbands out of Palembang. Kampung Kapitan fading fame also makes children Tjoa Kok Lim chose to work in Jakarta and Lampung. He is now only accompanied by a second daughter to keep the core house, after the third house sold to someone else. Small houses in Kampung Kapitan also been held by the inhabitants, no longer in possession of the family of lieutenant Tjoa Ham Hin.